"Architecture is the art of capturing noble simplicity." - Jørn Utzon. An ARCHITECT is a person trained and licensed to plan, design, and oversee the construction of buildings. To practice architecture means to provide services in connection with the design and construction of buildings and the space within the site surrounding the buildings, that have as their principal purpose human occupancy or use. Professionally, an architect's decisions affect public safety, and thus an architect must undergo specialized training consisting of advanced education and a practicum (or internship) for practical experience to earn a license to practice architecture. Practical, technical, and academic requirements for becoming an architect vary by jurisdiction. In most developed countries, only qualified persons with appropriate licensure, certification, or registration with a relevant body, often governmental may legally practice architecture. Such licensure usually requires an accredited university degree, successful completion of exams, and a training period. The use of terms and titles, and the representation of oneself as an architect is restricted to licensed individuals by law, although in general, derivatives such as architectural designer are not legally protected. 10 greatest modern architects of our time - Style of Design. 11 GORGEOUS GIFTS FOR THE ARCHITECTURE BUFF - Wired. 25 incredible skyscrapers of the future - The Telegraph. 25 Masterpieces That Prove 2016 Was an Incredible Year for Architecture - Wired. 100 Largest Architecture Firms In the World - ArchDaily. AMERICA'S FAVORITE ARCHITECTURE - the top 150 chosen by The American Institute of Architects. ARCHITizer - platform for 125,000+ architects & designers to showcase their talents and find clients. 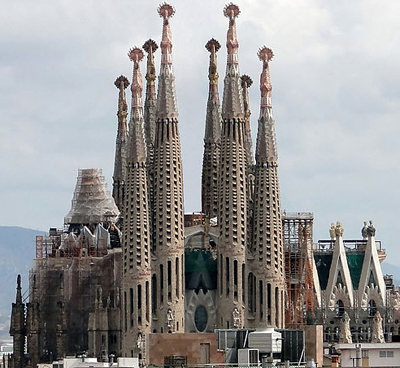 Barcelona's unloved planner invents science of 'urbanisation' - The Guardian. 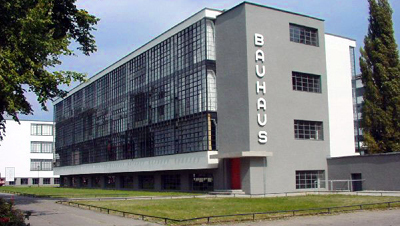 BAUHAUS - was a German art school operational from 1919 to 1933 that combined crafts and the fine arts, and was famous for the approach to design that it publicised and taught. Bauhaus at 100: what it means to me by Norman Foster, Margaret Howell and others - "As the influential design school turns 100, architects, designers and other creatives talk about how its ideas have shaped their work." Bauhaus in pictures: The architects exiled by Nazis - "Established in 1919, in the wake of World War One, Germany's Bauhaus art school brought a radical new approach to design and aesthetics which would eventually go on to help inform modernist architecture around the world. Now in its centenary year, we look at a selection of some of the buildings shaped by the influential art school." best architecture of 2016 - The Guardian. Building Zaha Hadid’s Bold Afterlife - The New York Times. China Moves to Halt ‘Weird’ Architecture - The New York Times. 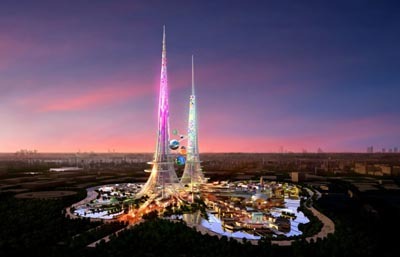 China's smaller cities go wild for starchitecture - The Guardian. 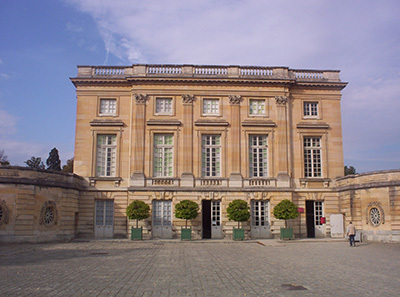 Cour d'honneur - (court of honor) is the architectural term for a three-sided ceremonial courtyard, created by flanking the main central block, or corps de logis, with symmetrical advancing secondary wings containing minor rooms. The Palace of Versailles and Blenheim Palace both feature such entrance courts. Dear Architects: Sound Matters - The New York Times. Entasis - "A lie that tells the truth." In architecture, entasis is the application of a convex curve to a surface for aesthetic purposes. Its best-known use is in certain orders of Classical columns that curve slightly as their diameter is decreased from the bottom upward. It also may serve an engineering function regarding strength. Fendi: back to the future - new Roman palace of modernism. Frank Gehry at 90: ‘I love working. I love working things out’ - "He didn’t hit his stride till he was 50, and now the architect, as inventive and bold as ever, hangs out with everyone from Harrison Ford to Jay-Z." GIANT ORDER - in classical architecture, a giant order (also known as colossal order) is an order whose columns or pilasters span two (or more) stories. Holdout - piece of property that did not become part of a larger real estate development because the owner either refused to sell or wanted too much. Horror on the Hudson: New York's $25bn architectural fiasco - "It is a billionaires’ playground where haircuts cost $800 and high-rise duplexes go for $32m. 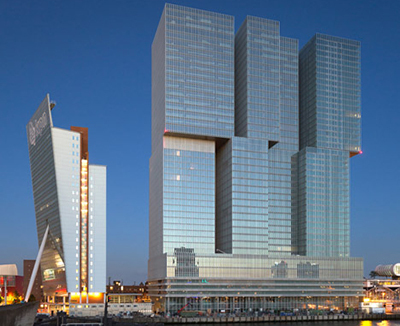 So why do the angular towers of Hudson Yards look so cheap?" how Hitler's plans for Germania would have torn Berlin apart - The Guardian. How Jefferson Learned Architecture - The New York Times. Japanese architect wins the 'Nobel' of architecture - "Pritzker Prize 2019: Arata Isozaki wins 'Nobel of architecture'." List of architects - Wikipedia. LIST OF ARCHITECTURE FIRMS - Wikipedia. 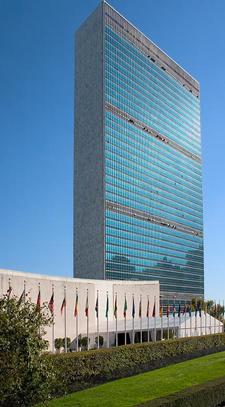 LIST OF FAMOUS AND NOTABLE ARCHITECTECTS - Wikipedia. Longest bridges around the world - in picyures - The Guardian. Olafur Eliasson: 'the vast majority of architecture is trash' - The Telegraph. Remembering America's lost buildings - The Guardian. RIBA | ROYAL INSTITUTE OF BRITISH ARCHITECTS - champions better buildings, communities and the environment through architecture and our members. SKYSCRAPER NEWS - skyscrapers, cathedrals, modern architecture database, news, information and images. SKYSCRAPERPAGE.COM - "The world's finest resource for skyscraper and urbanism enthusiasts. A one-stop resource for the skyscraper enthusiast in everyone." 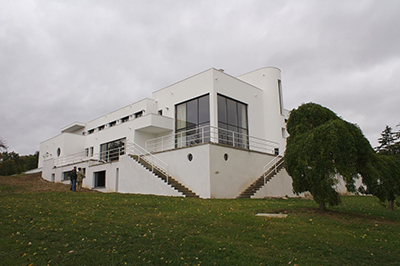 Tel Aviv Bauhaus Walk - Yigal Gawze: for insightful private walking tour. 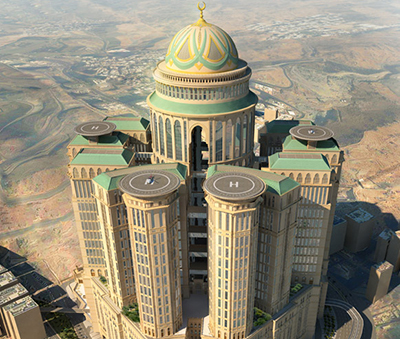 The architectural masterpiece that wouldn't stand up - BBC. The joy of living on top of one another - The Guardian. The most beautiful Art Deco buildings around the world - The Telegraph. Top 300 Architecture Firms - Architectural Record. U-shaped New York skyscraper is unveiled - Daily Mail. Walter Gropius: Visionary Founder of the Bauhaus - review - "Fiona MacCarthy’s engrossing life of the Bauhaus founder reveals a passionate man whose reputation for coldness is largely undeserved." Wedding-cake style - informal reference to buildings with many distinct tiers, each set back from the one below, resulting in a shape like a wedding cake, and may also apply to buildings that are richly ornamented, as if made in sugar icing. When JØrn Utzon met Le Corbusier - The Guardian. Why glass buildings are a mistake - CNN. WORLD'S TALLEST SCYCRAPERS - Houston Architecture's top 100. Zaha Hadid's 10 best buildings in pictures - The Guardian. A. JAMES SPEYER - (1913-1986). Addison Mizner - (1872-1933). 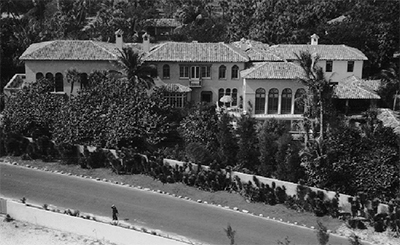 American resort architect whose Mediterranean Revival and Spanish Colonial Revival style interpretations left an indelible stamp on South Florida, where it continues to inspire architects and land developers. ALVAR AALTO - (1898-1976). Finnish architect and designer. His work includes architecture, furniture, textiles and glassware. What is typical for his entire career, however, is a concern for design as a Gesamtkunstwerk, a total work of art; whereby he – together with his first wife Aino Aalto – would design not just the building, but give special treatments to the interior surfaces and design furniture, lamps, and furnishings and glassware. 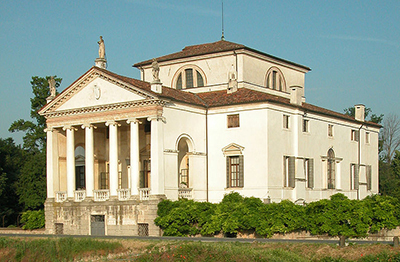 ANDREA PALLADIO - (1508-1580). 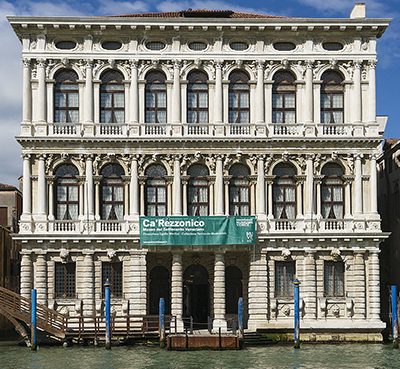 Italian architect active in the Republic of Venice. ANDRÉ LE NÔTRE - (1613-1700). French landscape architect and the principal gardener of King Louis XIV of France. Ange-Jacques Gabriel - (1698-1782). The most prominent French architect of his generation. ANTONI GAUDI - (1852-1926). Architect of the Basílica i Temple Expiatori de la Sagrada Família, commonly known as the Sagrada FamÍlia (1882-2026/2028(estimate)), Barcelona, Catalonia, Spain. Apollodorus of Damascus - Syrian-Greek engineer, architect, designer and sculptor from Damascus, Roman Syria, who flourished during the 2nd century AD. A favourite of Trajan, for whom he constructed Trajan's Bridge over the Danube, for the 105-106 campaign in Dacia. He also designed the Forum Trajanum and Trajan's Column within the city of Rome, beside several smaller projects. Apollodorus also designed the triumphal arches of Trajan at Beneventum and Ancona. He is widely credited as the architect of the third iteration of the Pantheon. ARNE JACOBSEN - (1902-1971). Danish architect and designer. He is remembered for his contribution to architectural Functionalism as well as for the worldwide success he enjoyed with simple but effective chair designs. Baldassare Longhena - (1598-1682). Italian architect, who worked mainly in Venice, where he was one of the greatest exponents of Baroque architecture of the period. Balthasar Neumann - (1687-1753). 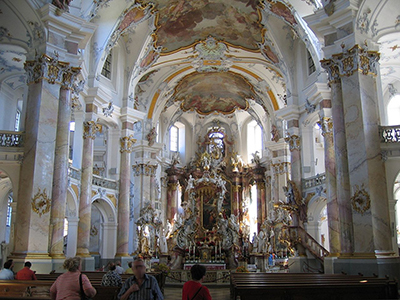 German military artillery engineer and architect who developed a refined brand of Baroque architecture, fusing Austrian, Bohemian, Italian, and French elements to design some of the most impressive buildings of the period, including the Würzburg Residence and the Basilica of the Fourteen Holy Helpers, called Vierzehnheiligen in German. BARON HAUSSMAN - (1809-1891). Georges-Eugène Haussmann was a French civic planner whose name is associated with the rebuilding of Paris. CALLICRATES - (5th century BC). Architect with Ikitinos of the Parthenon. CHARLES BARRY - (1795-1860). Best known for his role in the rebuilding of the Palace of Westminster (also known as the Houses of Parliament) in London during the mid-19th century. CHARLES GARNIER - (1825-1898). Designer of the Opéra de Paris and the Opéra de Monte-Carlo. CHARLES MEWÈS; - (1858-1914). Designed Hôtel Ritz Paris, London & Madrid, as well as Carlton Hotel, London. CHRISTOPHER WREN - (1632-1723). 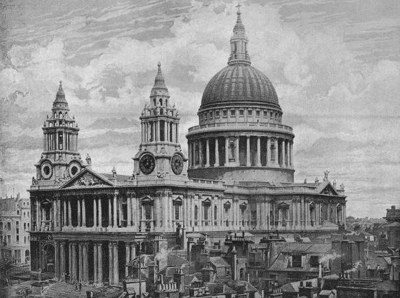 Responsible for rebuilding 51 churches in the City of London after the Great Fire in 1666, including his masterpiece, St. Paul's Cathedral, completed in 1710. Claude Nicolas Ledoux - (1736-1806). 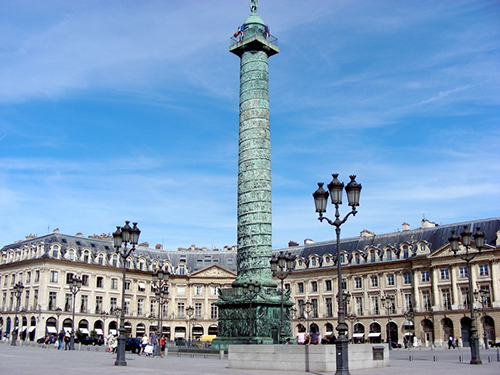 One of the earliest exponents of French Neoclassical architecture. He used his knowledge of architectural theory to design not only domestic architecture but also town planning; as a consequence of his visionary plan for the Ideal City of Chaux, he became known as a utopian. CLAUDE PERRAULT - (1613-1688). Architect of the eastern range of the Louvre Palace. Cross and Cross - (1907-1942). 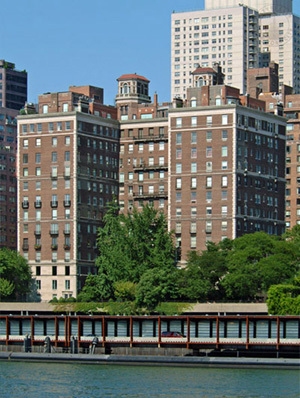 Known as Old New York City Society's architectural firm of choice. Cyrus L. W. Eidlitz - (1853-1921). 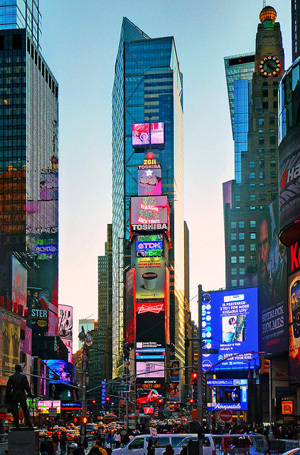 New York architect best known for designing One Times Square, the former New York Times Building on Times Square. DANIEL HUDSON BURNHAM - (1846-1912). Decimus Burton - (1800-1881). English architect and garden designer. A protegé of John Nash. Detlef Lienau - (1818-1887). Credited with having introduced the French style to American building construction, notably the mansard roof and all its decorative flourishes, aka known as German Renaissance. DONATO BRAMANTE - (1444–1514). Architect of St. Peter's Basilica. Édouard-Jean Niermans - (1859-1928). Famous French architect of Dutch origins during the Belle Époque. 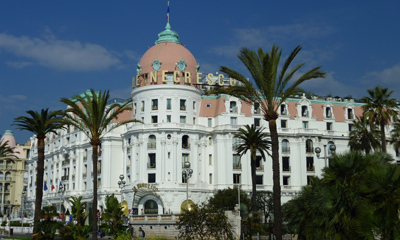 Hôtel Negresco founded by Henri Négresco was designed by Édouard Niermans in 1912 on the promenade des Anglais in Nice. Edward Durell Stone - (1902-1978). EDWIN LUTYENS - (1869-1944). 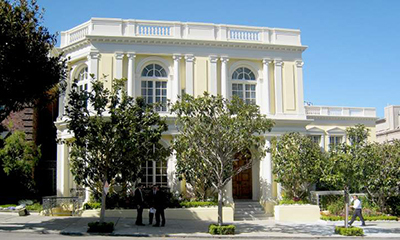 Known for imaginatively adapting traditional architectural styles to the requirements of his era. 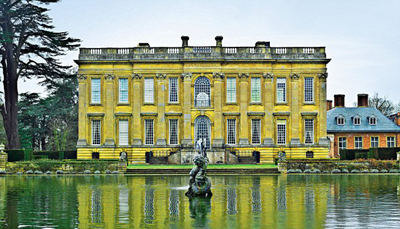 He designed many English country houses. 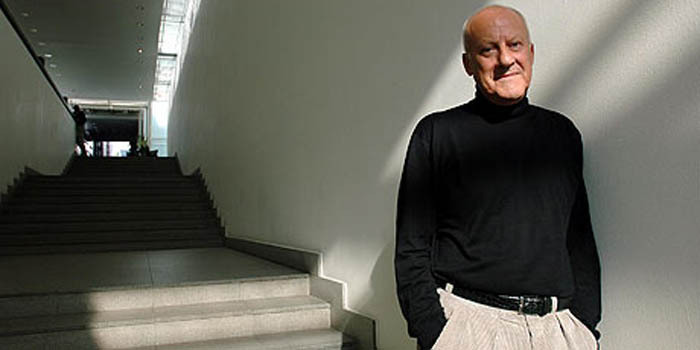 He has been referred to as "the greatest British architect" and is known best for having an instrumental role in designing and building a section of the metropolis of Delhi, known as New Delhi, India. EERO SAARINEN - (1910-1961). Finnish American architect and industrial designer of the 20th century famous for varying his style according to the demands of the project: simple, sweeping, arching structural curves or machine-like rationalism. Ernst Friedrich Zwirner - (1802-1861). Jewish German architect, known for his expressionist architecture in the 1920s, as well as for developing a dynamic functionalism in his projects for department stores and cinemas. Filippo Brunelleschi - (1377-1446). One of the foremost architects and engineers of the Italian Renaissance. 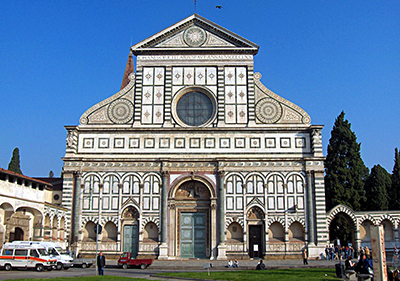 He is perhaps most famous for his discovery of perspective and for engineering the dome of the Florence Cathedral. Francis Fleetwood - (1947-2015). Architect Who Transformed the Hamptons. FRANÇOIS MANSART - (1598-1666). Mansart, as he is generally known, made extensive use of a four-sided, double slope gambrel roof punctuated with windows on the steeper lower slope, creating additional habitable space in the garrets that ultimately became named after him - the mansard roof. FRANK LLOYD WRIGHT - (1867-1959). 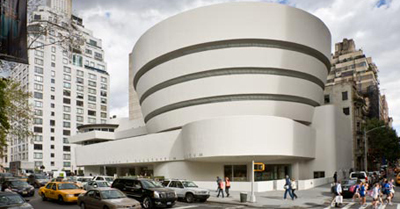 Architect of the Solomon R. Guggenheim Museum and the Fallingwater / Kaufmann Residence. Frederick John Kiesler - (1890-1965). Austrian-American architect, theoretician, theater designer, artist & sculptor. FREDERICK LAW OLMSTED - (1822-1903). Father of American landscape architecture. GEORGE EDMUND STREET - (1824-1881). Leading practitioner of the Victorian Gothic revival and is perhaps best known as the architect of the Royal Courts of Justice, on the Strand, London. GEORGE GILBERT SCOTT - (1811-1878). 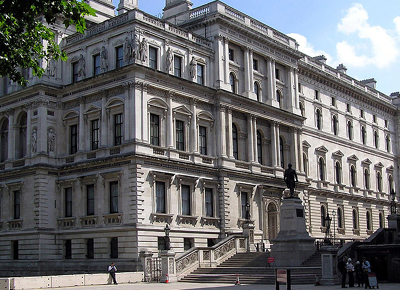 Designer of the Foreign and Commonwealth Office, Whitehall, London, U.K. (1861-1868). GERHARD VON RILE - (c. 1210/1215-1271). 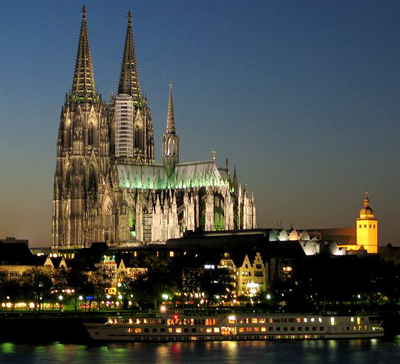 Cologne Cathedral’s first master builder. Giacomo della Porta - (c. 1533-1602). 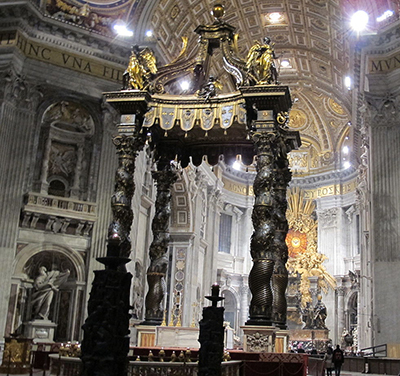 Architect and sculptor, who worked on many important buildings in Rome, including St. Peter's Basilica. Gian Lorenzo Bernini - (1598-1680). Italian artist and a prominent architect who worked principally in Rome. He was the leading sculptor of his age, credited with creating the Baroque style of sculpture. GiÒ Ponti - (1891-1979). One of the most important Italian architects, industrial designers, furniture designers, artists, and publishers of the twentieth century. Giulio Romano - (c. 1499-1546). Giuseppe Terragni - (1904-1943). Was an Italian architect who worked primarily under the fascist regime of Benito Mussolini and pioneered the Italian modern movement under the rubric of Rationalism. His most famous work is the Casa del Fascio built in Como, northern Italy. HANS-GEORG TERSLING - (1857-1920). 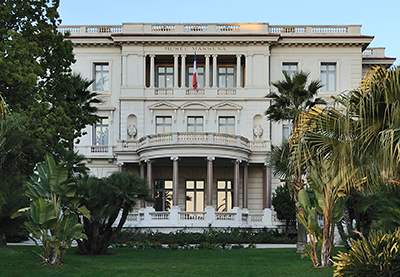 Danish architect who lived and worked for most of his life on the French Riviera where he became one of the most significant and productive architects of the Belle Époque. His work mainly consisted of designing mondain hotels, villas and mansions for members of the French and European aristocracy and other elite who resided in the area. 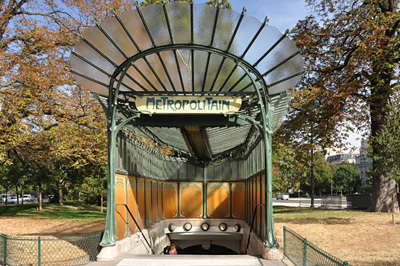 Hector Guimard - (1867-1942). Best-known representative of the French Art Nouveau style of the late nineteenth and early twentieth centuries. HENRY JANEWAY HARDENBERGH - (1847-1918). Best known for his hotels and apartment buildings: e.g. 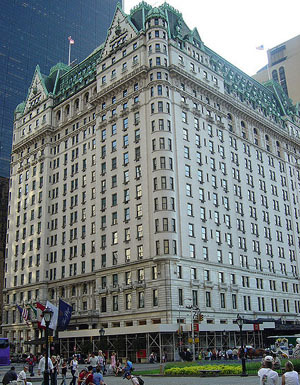 Plaza Hotel, Waldorf-Astoria Hotel, Dakota apartment building, New York City, NY, U.S.A.
HORACE TRUMBAUER - (1868-1938). Prominent American architect of the Gilded Age, known for designing residential manors for the wealthy. Trumbauer's massive palaces flattered the egos of his "robber baron" clients, but were dismissed by his professional peers. Today, however, he is hailed as one of America's premier architects, with his buildings drawing critical acclaim even to this day. IKTINOS - (5th century BC). Architect with Callicrates of the Parthenon. IMHOTEP - (2655-2600 BC). Considered to be the first architect known by name. INIGO JONES - (1573-1652). 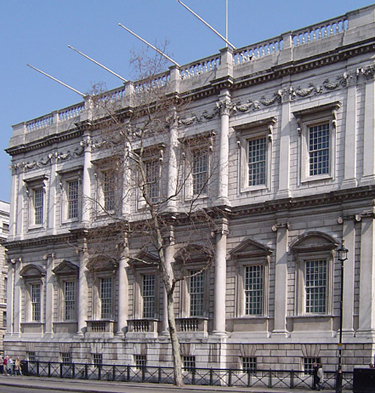 Designed the Banqueting House, Whitehall, London, U.K. (1619-1622). JAMES RUPERT MILLER - (1869-1946). JOHAN OTTO VON SPRECKELSEN - (1929-1987). JOHN LAUTNER - (1911-1994). Influential American architect whose work in Southern California combined progressive engineering with humane design and dramatic space-age flair. JOHN NASH - (1752-1835). British architect responsible for much of the layout of Regency London. JOHN VANBRUGH - (1664-1726). Best known as the designer of Blenheim Palace and Castle Howard. JOHN WOOD, THE ELDER - (1704-1754). JOHN WOOD, THE YOUNGER - (1728-1782). Juan Bautista Villalpando - (1552-1608). JULES HARDOUIN-MANSART - (1646-1708). 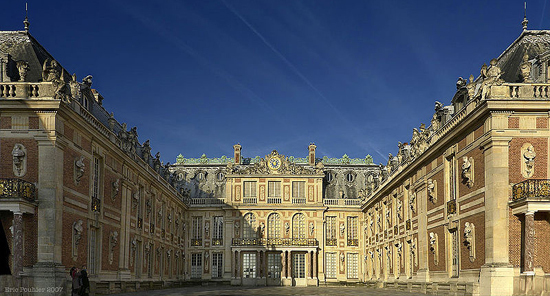 French architect whose work is generally considered to be the apex of French Baroque architecture, representing the power and grandeur of Louis XIV. Hardouin-Mansart was one of the most important European architects of the seventeenth century. Julia Morgan - (1872-1957). American architect in California. She designed more than 700 buildings in California during a long and prolific career. 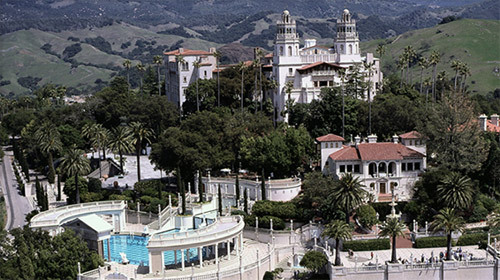 She is best known for her work on Hearst Castle in San Simeon, California, U.S.A.
JØRN UTZON - (1918-2008). 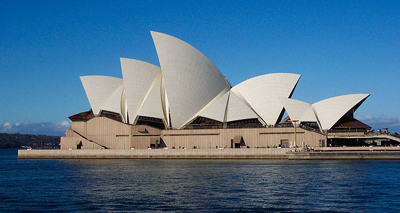 Designer of the SYDNEY OPERA HOUSE, Sydney, New South Wales, Australia. Completed 1973. Karl Friedrich Schinkel - (1781-1841). Prussian architect, city planner, and painter who also designed furniture and stage sets. Schinkel was one of the most prominent architects of Germany and designed both neoclassical and neogothic buildings. 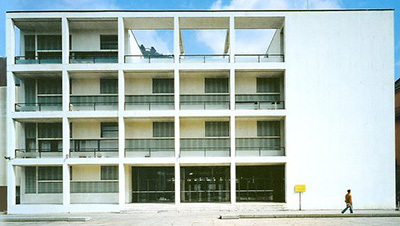 KenzŌ Tange - (1913-2005). Japanese architect, and winner of the 1987 Pritzker Prize for architecture. He was one of the most significant architects of the 20th century, combining traditional Japanese styles with modernism, and designed major buildings on five continents. 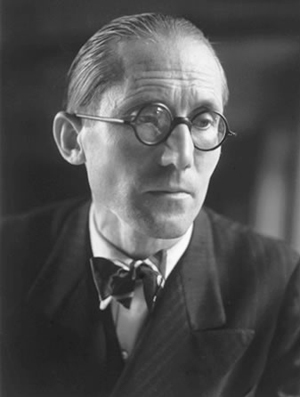 LE CORBUSIER - (1887-1965). Architect, designer, painter, urban planner, writer, and one of the pioneers of what is now called modern architecture. Leon Battista Alberti - (1404-1472). Italian humanist author, artist, architect, poet, priest, linguist, philosopher and cryptographer; he epitomised the Renaissance Man. LOUIS LE VAU - (1612-1670). Architect of the Palace of Versailles. LUDWIG MIES VAN DER ROHE - (1886-1969). Designed in 1958 what is often regarded as the pinnacle of the modernist high-rise architecture, the Seagram Building in New York City. Marion Sims Wyeth - (1889–1982) was an American architect. He designed mansions including Mar-a-Lago in Palm Beach, Florida, and Shangri La in Honolulu, Hawaii. Mart Stam - (1899-1986). Dutch architect, urban planner, and furniture designer. Maurice Fatio - (1897–1943). Swiss-born American architect who between 1925-1943 designed 137 homes in Palm Beach, Florida, U.S.A.
MEYER & HOLLER - (1905-1932). MICHELANGELO - (1475-1564). Architect of St. Peter's Basilica. Mimar Sinan - (c. 1489/1490-1588). The chief Ottoman architect (Turkish: mimar) and civil engineer for sultans Suleiman the Magnificent, Selim II, and Murad III. He was responsible for the construction of more than 300 major structures. Morris Lapidus - (1902-2001). 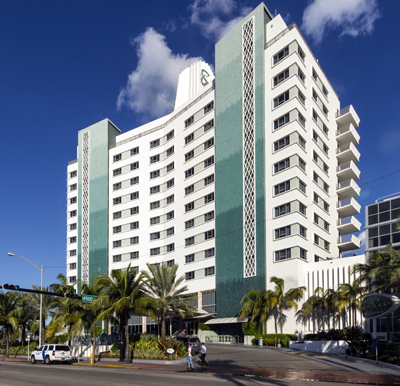 The architect of Neo-baroque Miami Modern hotels that have since come to define the 1950s resort-hotel style synonymous with Miami and Miami Beach. NGUYEN AN - (died 1453). Principal designer and a chief builder of The Forbidden City, Beijing, China. NICHOLAS HAWKSMOOR - (1661-1736). One of the great masters of the English Baroque. Hawksmoor worked alongside the principal architects of the time, Christopher Wren and John Vanbrugh, and contributed to the design of some of the most notable buildings of the period, including St Paul's Cathedral, Wren's City of London churches, Blenheim Palace and Castle Howard. 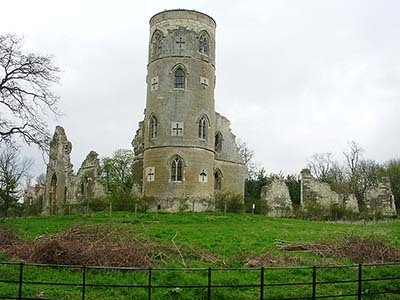 Easton Neston is thought to be the only mansion which was solely the work of Hawksmoor. Nicolai Eigtved - (1701-1754). Leading proponent of the French rococo style in Danish architecture during the 1730s-1740s. NICOLAS-HENRI JARDIN - (1720-1799). Neoclassical architect. OSCAR NIEMEYER - (1907-2012). Pioneer in exploring the formal possibilities of reinforced concrete solely for their aesthetic impact. Otto Wagner - (1841-1918). Austrian architect and urban planner, known for his lasting impact on the appearance of his home town Vienna, to which he contributed many landmarks. Philibert de l'Orme - (1514-1570). One of the great masters of the French Renaissance. Raymond Hood - (1881-1934). American architect who worked in the Art Deco style. Principal architect was Raymond Hood for Rockefeller Center. Richard Boyle, 3rd Earl of Burlington - (1694-1753). 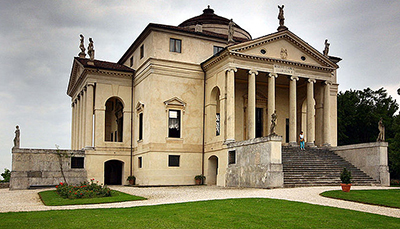 He is remembered for bringing Palladian architecture to Britain and Ireland. His major projects include Burlington House, Westminster School, Chiswick House and Northwick Park. RICHARD MORRIS HUNT - (1827-1895). American architect of the nineteenth century and a preeminent figure in the history of American architecture. Hunt was, according to design critic Paul Goldberger writing in The New York Times, "American architecture's first, and in many ways its greatest, statesman." 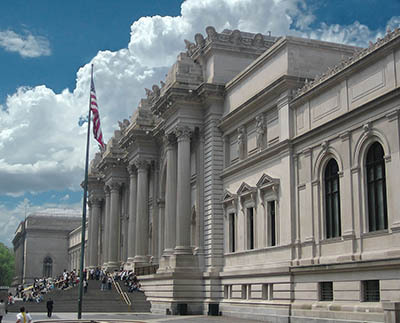 Aside from Hunt's sculpting of the face of New York City, including designs for the facade and Great Hall of the Metropolitan Museum of Art, the pedestal of the Statue of Liberty and many Fifth Avenue mansions lost to the wrecking ball, Hunt founded both the American Institute of Architects and the Municipal Art Society. Robert Mallet-Stevens - (1886-1945). Along with Le Corbusier he is widely regarded as the most influential figure in French architecture in the period between the two World Wars. Rosario Candela - (1890-1953). Italian American architect who achieved renown through his apartment building designs in New York City, primarily during the boom years of the 1920s. He is credited with defining the city's characteristic terraced setbacks and signature penthouses. Over time, Candela's buildings have become some of New York's most coveted addresses, most of which were erected on Fifth & Park avenues before World War II. Stanford White - (1853-1906). 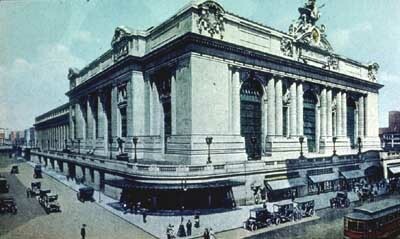 American architect and partner in the architectural firm of McKim, Mead & White, the frontrunner among Beaux-Arts firms. 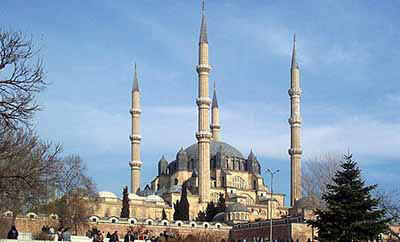 He designed a long series of houses for the rich, and numerous public, institutional, and religious buildings. 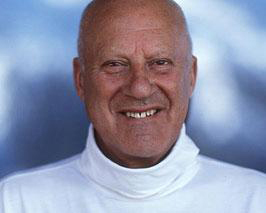 His design principles embodied the "American Renaissance". Theophil Hansen - (1813-1891). Danish architect who later became an Austrian citizen. He became particularly well known for his buildings and structures in Athens and Vienna, and is considered an outstanding representative of neoclassicism. TIMOTHY L. PFLUEGER - (1892-1946). Victor Horta - (1861-1947). Described him as "undoubtedly the key European Art Nouveau architect." Vincenzo Scamozzi - (1548-1616). Italian architect and a writer on architecture, active mainly in Vicenza and Republic of Venice area in the second half of the 16th century. He was perhaps the most important figure there between Andrea Palladio, whose unfinished projects he inherited at Palladio's death in 1580, and Baldassarre Longhena, Scamozzi's only pupil. VITRUVIUS - (c. 80–70 BC - c. 15 BC). WALTER GROPIUS - (1883-1969). Founder of the Bauhaus School. Warren and Wetmore - partnership between Whitney Warren (1864–1943) and Charles Wetmore (1866–1941), that had one of the most extensive practices of its time and was known for the designing of large hotels. Werner March - (1894-1976). His most famous work, Berlin's Olympic Stadium. WILLIAM KENT - (c. 1685-1748). WILLIAM OF SENS - (12th century). WILLIS POLK - (1867-1924). 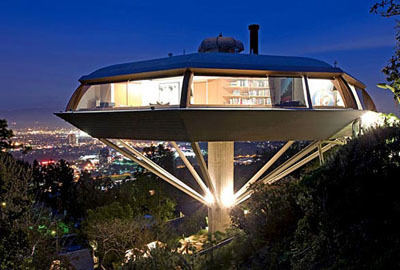 American architect best known for his work in San Francisco, California. AEDAS - provides consultancy services in architecture, interior design, masterplanning, landscape, urban design and building consultancy in Asia, the Middle East, Europe and the Americas. Amanda Levete - Stirling Prize-winning British architect. 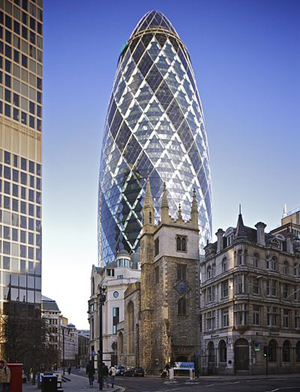 ARUP - providing engineering, design, planning, project management and consulting services for all aspects of the built environment. ATKINS ARCHITECTURE - "We are a multinational community of 650 architects sharing a passion for excellence." BDP - "Creating Places for People." The largest interdisciplinary practice of architects, designers, engineers and urbanists in Europe. C.F. MØLLER ARCHITECTS - one of Scandinavia's oldest and largest architectual pratices. Chetwoods - "Explore | Create | Make." C. Y. Lee - Chinese architect based in Taiwan. He directed the design of Taipei 101, the world's tallest skyscraper at the time of completion, in 2004. DANIEL LIBESKIND - Polish-American architect, artist, professor and set designer. On February 27, 2003, Libeskind won the competition to be the master plan architect for the reconstruction of the World Trade Center site in Lower Manhattan, New York City, U.S.A.
Dar Al-Handasah - since 1956. Multi-disciplinary architecture and engineering consultancy. Has served over 950 different clients in 63 countries with a staff of 6900 operating from 45 offices in the Middle East, Africa, Asia and Europe with five design centres in Beirut, Cairo, London, Pune and Amman. 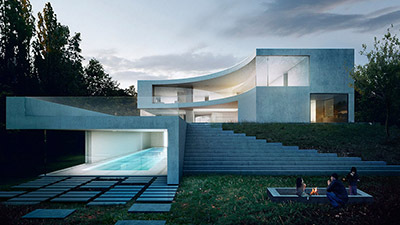 fernando romero architects - currently the most exposed and successful young Latin American architect. FRANK GEHRY - Canadian-American Pritzker Prize-winning architect based in Los Angeles. 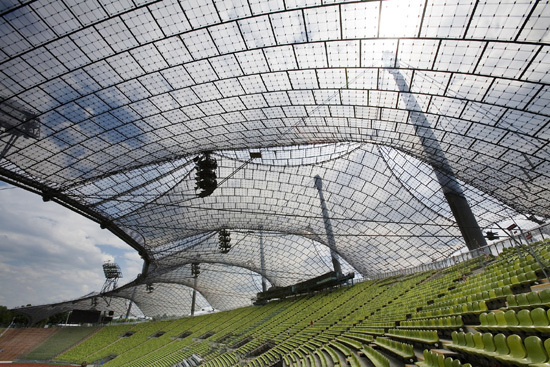 Frei Otto - the world's leading authority on lightweight tensile and membrane structures, and has pioneered advances in structural mathematics and civil engineering. GDS ARCHITECTS - an international practice with offices in Pasadena, Seoul and Taipei. The practice provides full architecture, master planning and interiors for clients in both the public and private sectors. GENSLER - global architecture, design, planning and consulting firm - 3,500+ professionals in more than 42 locations. HEERIM - architects & planners. HERZOG & DE MEURON - since 1978. Architects of the Beijing National Stadium - aka the 'Bird's Nest'. I. M. PEI - known as the last master of high modernist architecture. JEAN DELOGNE - landscape designer. 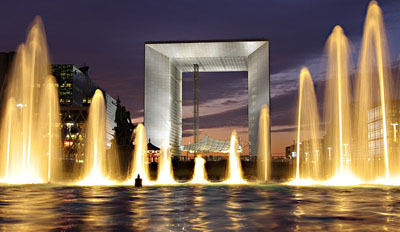 JEAN NOUVEL - the Wolf Prize in Arts in 2005 and the Pritzker Prize in 2008. JÜRGEN MAYER-HERMANN - J. Mayer H.
Kengo Kuma - frequently compared to contemporaries Shigeru Ban & Kazuyo Sejima, Kuma is also noted for his prolific writings. MAD STUDIO - based in Beijing, China. It is headed by is Yansong Ma. MORRIS ARCHITECTS - Architecture, landscape architecture, planning and interior design are the core disciplines practiced by seven Morris Architects studios. OMA | OFFICE FOR METROPOLITAN ARCHITECTURE - the office is led by six partners – Rem Koolhaas, Ole Scheeren, Ellen van Loon, Reinier de Graaf, Shohei Shigematsu and Managing Partner, Victor van der Chijs – and employs a staff of around 220 of 35 nationalities. PASCAL + WATSON ARCHITECTS - leading transport architects. Perkins Eastman - international architecture, interior design, urban design, planning, landscape architecture, graphic design, and project management firm. Headquartered in New York City, U.S.A.
PETER MARINO ARCHITECT - founded in 1978. Based in New York City. PETER VETSCH - known for building earth houses. REM KOOLHAAS - in 2008 Time Magazine put him in their top 100 of The World's Most Influential People. Richard Landry - "Los Angeles' king of the megamansion." RMJM - "People Process Projects. Our work encompasses architecture, sustainable design,urbanism, masterplanning, interior design and research and development." 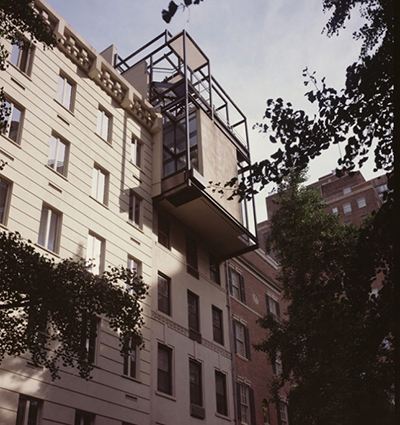 Robert A. M. Stern - erhaps best known for his residential projects in New York City, which include 15 Central Park West, 20 East End Avenue, The Chatham, and The Brompton. 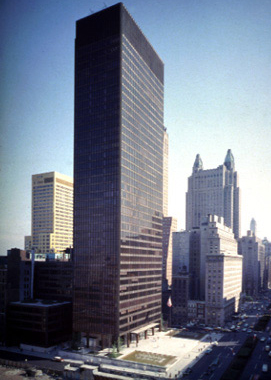 Recently, Stern designed three skyscrapers, 220 Central Park South, 520 Park Avenue, and 30 Park Place, all of which will be amongst the tallest buildings in New York City upon completion. Robert Venturi - American architect, founding principal of the firm VSBA Architects, and one of the major architectural figures in the twentieth century. ROGERS STIRK HARBOUR + PARTNERS - architects of Ony Hyde Park, London W1, U.K.
RTKL - global design practice comprised of 800+ professionals, with offices worldwide. Sambuichi Architects - established in 1997 by Hiroshi Sambuichi. Saunders Architecture - founded by the Canadian architect Todd Saunders in 1998. Saunders has lived and worked in Bergen since 1996. Bringing together dynamic building and material experimentation with traditional methods of craft, Bergen-based Saunders Architecture has worked on cultural and residential projects right across Norway, as well as England, Denmark, Italy, Sweden and Canada. 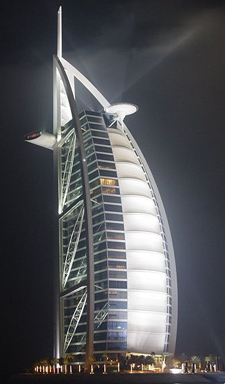 TOM WRIGHT - his most famous design is the Burj Al Arab hotel in Dubai. Toyo Ito - awarded the Pritzker Prize in 2013. WALLACE E. CUNNINGHAM - innovative residential design. WAM Architecten - Wilfried van Winden. WATG - "Having worked in 160 countries and territories across six continents, WATG has designed more great hotels and resorts than any other firm on the planet." ARCHITECTURE - aka "Mother of all the arts." List of Art Deco architecture - Wikipedia. CAN LIS - Danish Pritzer Prize Laureate architect Jørn Utzon's own houses in Mallorca, Balearic Islands, Spain. CHRYSLER BUILDING - New York City, NY, U.S.A. EMPIRE STATE BUILDING - New York City, NY, U.S.A.
FLATIRON BUILDING - New York City, NY, U.S.A.
GENERAL MOTORS BUILDING - New York City, NY, U.S.A.
Louvre Palace - Paris, France. 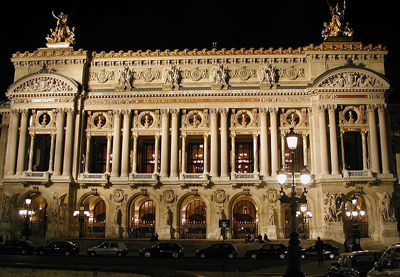 OpÉra de Paris - Paris, France. Palace of Versailles - Versailles, France. SEAGRAM BUILDING - New York City, NY, U.S.A.
SHANGHAI WORLD FINANCE CENTER - Shanghai, China. 1,614 ft / 492 m 101 floors. Otherwise known as "The Vertical Complex City". 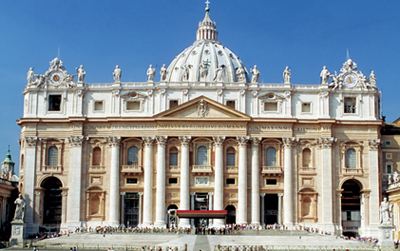 St. Peter's Basilica - Vatican City. SYDNEY OPERA HOUSE - Sydney, Australia. TAIPEI 101 - Taipei, Taiwan. THE PETRONAS TWIN TOWERS - Kuala Lumpur, Malaysia. TURNING TORSO - Malmø, Sweden. VILLA CAPRA "LA ROTONDA" - Vicenza, Italy. BIENNALE ARCHITETTURA 2020 | 17th INTERNATIONAL ARCHITURE EXHIBITION - May 23 - November 29. WORLD ARCHITECTURE FESTIVAL 2018 - November 28-30.